Kishan Palace Heritage , earlier being the residence of late Thakur Col Kishan Singh Ji (M.B.E,A.D.C), He Was the ruling chief (Thakur)of the thikhana MEGHSAR,which was granted to him as an additional field by Maharaja Sadul Singh of Bikaner. The blend of traditionally in looks and searvice make your visit to the Hotel to be cherished forever. The Hotel is at all the centre of Bikaner City ensembles typical Rajasthani Haveli looks with Hospitallity par excellence. One can get very nice glance of Junagarh Fort and Lallgarh Palace from the roof top Restaurant. Basant Vihar Palace was built because of a 'fanciful desire' of His Highness Maharaja Sri Ganga Singhji, a connoisseur of art and architecture. It was designed by him as a pleasure garden adjoining the Zanana Bagh (Royal Ladies' Garden) of Lalgarh Palace. In 1993, the House of Bikaji converted this magnificent piece of architecture into a heritage hotel – Hotel Basant Vihar Palace.The hotel is surrounded by well laid out gardens, fragrant flower beds and soothing lily ponds. And though it is completely refurbished from the inside, great care has been taken to preserve the original character of the rooms. There are a total of 31 rooms, of which 24 are Royal Deluxe rooms and 7 of them are Suites. 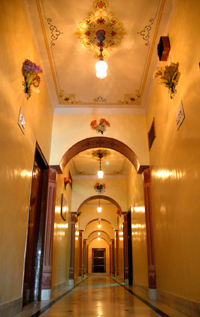 Hotel City Palace is located at a distance of only 0.5 km from the Bikaner Railway Station. 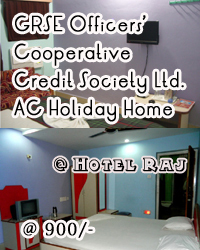 The Hotel has modern rooms with all basic amenities.